The ELT/741 family of light Electronic Support Measures provides tactical surveillance and self-protection capabilities for both fixed and rotary wing aircrafts. 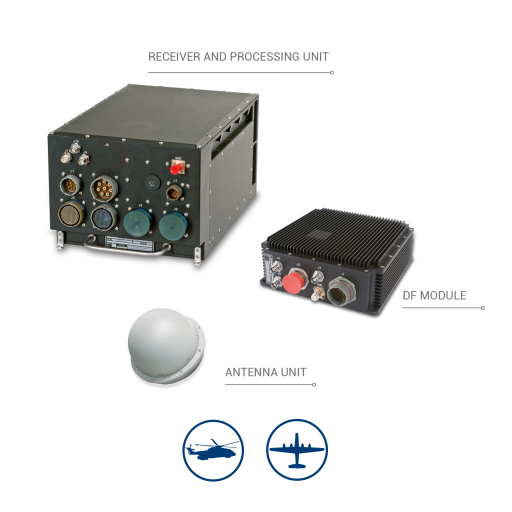 Even in operational scenarios characterized by high density electromagnetic environments, the ELT/741 provides timely and reliable information on both the most advanced and legacy radars, which can be equally used by either friendly or hostile forces. The ELT/741 ESM system can incorporate an EW controller function, coordinating multiple sensors and actuators, thus operating as a node within a tactical network to contribute to a common operational picture in Net Centric Operations. All versions can be interfaced with multi-function displays and integrated with ECM systems and platform data bus.